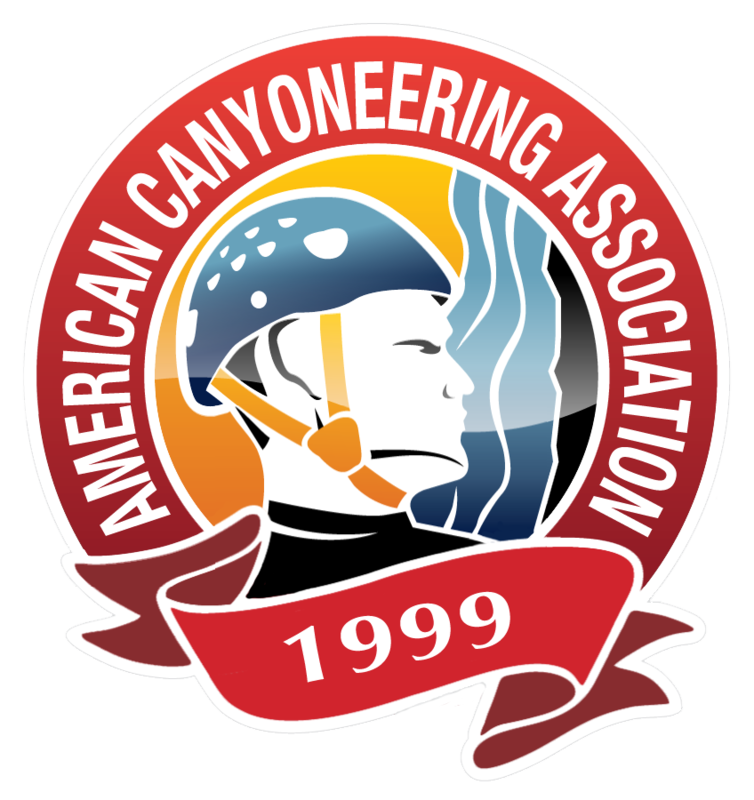 Explanation of the ACA Canyon Rating System, including technical terrain, rope work and water classifications. This Skills Checklist will guide you through the sequence of skills acquisition. Seek out training that will provide you with those skills in roughly the order recommended in the checklists. Consider our Skills Checklists as your road map to becoming a more competent, safe and self-reliant canyoneer. Skills Checklists also provide you with a useful objective tool for evaluating potential canyoneering partners. Experience does not necessarily equate to competence. Stories are all too common about a beginner who trusted a partner who claimed to be an expert because he/she had descended 20, 50 or 100 canyons, but when things went wrong, the "expert" didn't have the technical skills required to deal with the situation. Instead of being impressed (and trusting) by the number of canyons your prospective partner claims to have descended, use the skills checklists to quiz them about their actual technical competence. Spreadsheet you can use to record your canyoneering adventures and keep track of your training progression. 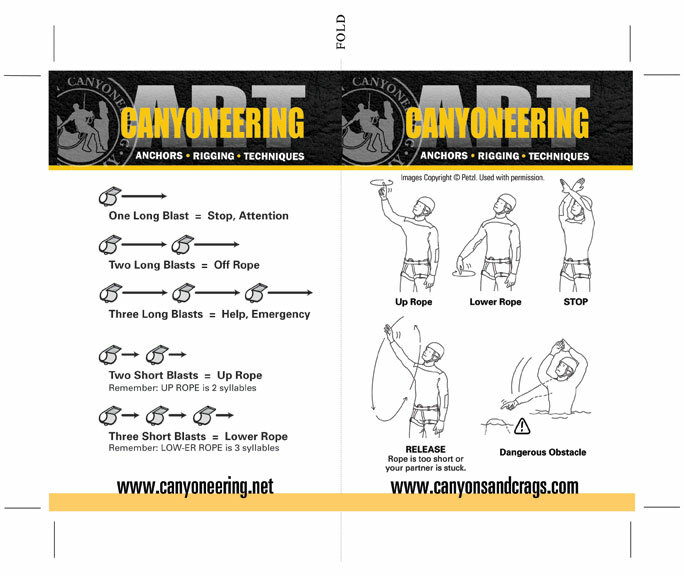 Common whistle and hand signals for canyoneering. Trim and laminate the sheet to take it with you on all of your canyoneering adventures. Be sure to make extra copies for your canyoneering partners, too. Created as a joint effort by many members of the canyoneering community, this informative 24-page booklet addresses canyoneering safety, trip planning, style and ethics. More than 40,000 copies in circulation. La versión en Español de nuestra popular Folleto Cañones. An introduction to mechanical advantage systems used in technical rescue. Rich offers this material to you in the spirit of a gift. He chose a Creative Commons copyright, which allows you to freely share this material for any non-commercial purpose. That means you can make photocopies, put it on your own blog, and so forth, as long as you don’t sell it or use it to carry advertising. You must also provide attribution so that people who want to find more of Rich's work can do so.